In this short six minute video, Greg Koukl of Stand to Reason explains the importance of reversing the burden of proof when someone makes a claim. As Christians, many times we attempt to refute someone's "story" without first asking how they came to their conclusion. Koukl shares a recent experience he had on the radio with a caller when discussing Intelligent Design versus Darwinian Evolution. He reads the caller's statement about 3 minutes into the video attempting to explain how something can come from nothing. One of the key points I took from this video is that an alternative explanation is not a refutation. It must be also be backed by good reasons. Otherwise, it is nothing more than a story. Debate Video: William Lane Craig vs. Daniel Came- Does God Exist? This debate was part of philosopher William Lane Craig's recent "Reasons for Hope" Tour of Ireland. This tour included stops in Cork, Dublin, and Belfast with debates and talks by Dr. Craig and Professor John Lennox. On March 23rd, Dr. Craig debated philosopher Daniel Came. They presented their arguments at the Edmund Burke Theatre, Trinity College Dublin on the topic "Does God Exist?" Dr. Craig's other events from the tour can be found here. Wintery Knight offers a thoughtful summary of the debate here. It is rare that I read an article and while working through it feel tempted to stand up and cheer, "Yes!" However, that is preciously the experience I had while reading Peter S. Williams outstanding article Can Moral Objectivism Do Without God? It is while writing about the second premise that Williams addresses an often confused point in regard to the moral argument. Since McGinn accepts the first premise of the moral argument, he suggests that it is possible "to detach moral objectivity from any religious worldview – so that we do not need to believe in God in order to find morality both important and binding." Here McGinn exhibits a common confusion, in that he conflates the argument for God as the ontological basis for objective moral values with the un-biblical epistemological claim that belief in God is a necessary condition of knowing the difference between right and wrong (cf. Romans 2:14-15). Rather, as Paul Copan explains, the moral argument urges that although"Belief in God isn’t a requirement for being moral... the existence of a personal God is crucial for a coherent understanding of objective morality." In other words, although the non-theist can do the right thing because they know what the objectively right thing to do is, their worldview can’t cogently provide an adequate ontological account of the objective moral values they know and obey." I encourage our readers to checkout this entire article here. To learn more about Williams and his work, go here. CNN: National Center for Science Education “Promotes Science Over Ideology”; What!? Would Baseball Team Have Mocked Tebow’s Religion Had He Been a Muslim? 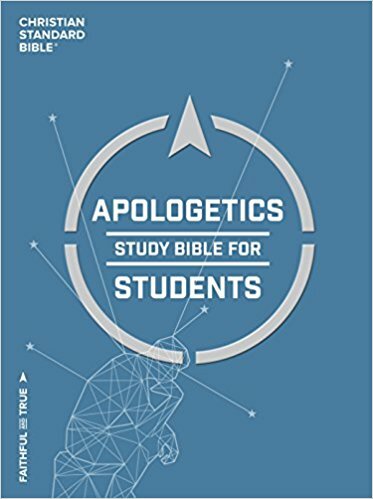 It was my genuine privilege to have had the opportunity to contribute an article to the forthcoming revised Apologetics Study Bible for Students. For those who desire to always be "...ready to make a defense to everyone who asks you to give an account for the hope that is in you..." (1 Peter 3:15), this is an invaluable resource. 1.Outdated articles have been removed or updated. 2. Individual authors went through each of their articles and improved them substantially. 3. There are 12 new articles on “hot” topics like tattoos, euthanasia, transgenderism, Islamic Jihad, religious freedom, singleness, race, and more. If I can’t see God, how do I know He is real? Can God’s love be reconciled with the order to kill the Canaanites? Is it okay to pick and choose my religious beliefs and practices? You can learn more about this excellent resource here. 1. Sean McDowell, "Coming Soon: The Revised Apologetics Study Bible for Students," June 20, 2017. According to Apologia Church, this Mormon Tract (which you can download here for free!) "has aided in bringing people to Christ from the LDS church. Let this tract do the heavy lifting and use the verses provided to engage and start confidently making irrefutable with your Mormon friends. Each topic is thoroughly covered using their scripture vs. Bible Scriptures. - How LDS gain salvation"
You can get your free downloadable tract here! The above video demonstrates how to use it. Learn more about Apologia Church and Pastor Jeff Durbin here. 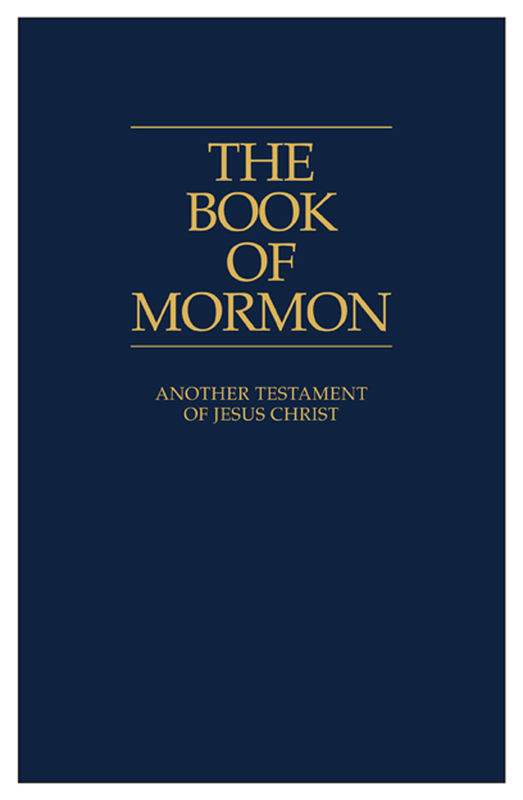 What is the Book of Mormon? by Robert M. Bowman, Jr. I recently listened to this excellent interview by Brian Auten of Apologetics315 with apologist Mike Felker. Auten explains that Felker "has an emphasis on interacting with Jehovah's Witnesses. He talks about his background, the overall belief system of JWs, The Watchtower Society, their various teachings regarding salvation, the afterlife, Jesus, the trinity, etc. He also discusses strategies for interaction including what to focus on and what to avoid." Interestingly, Felker studied with various Jehovah's Witnesses for a two year period. He offers first-hand accounts of what they believe, how they live and how to reach them effectively. 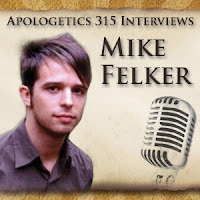 This interview was personally beneficial and Mike's work has been helpful to me numerous times in the past. Learn more about Mike and his work here. Finally, if you haven't already, checkout Apologetics315's archived interviews with various apologists, philosophers and theologians here. Does the Reference to Jesus as a "Mighty God" indicate that Jesus is a Lesser God than God the Father? In this video, Dr. James White of Alpha & Omega Ministries debates Bro. Joe Ventilacion of Iglesia ni Cristo, moderated by Dale Bartcher of Family Heritage Alliance. Dr. White defends the affirmative: “The Bible teaches that within the one Being that is God there exists eternally three coequal and coeternal persons, namely, the Father, the Son, and the Holy Spirit.” Bro. Joe Ventilacion argues the negative. This event was held in Rapid City, SD on April 21st, 2017. This event was arranged and coordinated by the ministry of South Dakota Apologetics. Dr. White's opening statement is a masterful defense of trinitarianism. When your child asks you to play a game or read a book with them, put aside the task at hand and do it. Involve them in chores around the house. Whether you have 1 child or 11 children, there’s always something that needs to be done. Even at the end of the day, when you’re exhausted and just want to fall into bed, be there for your kids. I guarantee your teens will want to have their deepest and most meaningful conversations at 11:00 p.m.
You can read the post in full here. Happy belated Father's Day! Recently, I had the opportunity to speak to the youth students at our church on the topic of discipleship. The lesson I used as part of my preparation included passages from Matthew chapters 4 and 9 to show that Jesus’ team of disciples weren’t necessarily what we would consider the “cream of the crop.” The other point emphasized in the lesson was that we must first repent and believe before becoming disciples of Jesus Christ. 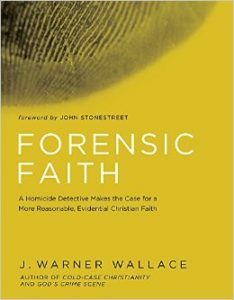 Also during this time, I had started reading J. Warner Wallace’s Forensic Faith. In the preface, he describes the “awkward truth” of the Case for Case Making. This prompted me to pose a question to the students- “What needs to come first? Repentance or belief? The point I was hoping to make was that not only is belief the first step, but understanding why you believe. Meaning, we are Christians because we believe Christianity is true. While I think it’s critically important to work through the Bible with our young people, it’s just as important to emphasize the truths of Christianity so they can begin to understand the overwhelming evidence for what we believe to be true. Click here for the Truthbomb review of Forensic Faith. "Christian young people who may not even be looking for reasons to question their faith find that non-Christian ideas about God, truth, and morality are looking for them. Our review of this work if forthcoming. Thus far, it is excellent! 1. 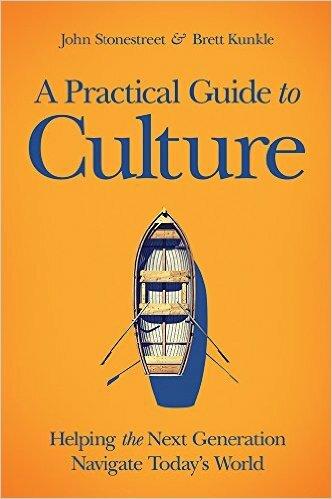 John Stonestreet and Brett Kunkle, A Practical Guide to Culture, p. 82-83. In this short video (8 min 31 sec), Dr. David Wood of Acts 17 Apologetics argues that "the Quran affirms the inspiration, preservation, and authority of the Christian scriptures (including the Torah and the Gospel). Yet the Quran contradicts the Christian scriptures on fundamental doctrines (e.g., Jesus' death, resurrection, and deity). By affirming scriptures that contradict Islam, the Quran self-destructs." 1. Either Christians have the inspired, preserved and authoritative Word of God or we do not. 2. If we have the inspired, preserved and authoritative Word of God, Islam is false because the Quran contradicts Christian Scriptures. 3. If we don't have the inspired, preserved and authoritative Word of God, Islam is false because the Quran affirms the inspiration, preservation and authority of the Christian Scriptures. 4. So, if the Bible is the Word of God, Islam is false. If the Bible is not the Word of God, Islam is false. For those who would like to learn more about this argument, checkout this recent interview Dr. Wood did with Dr. Frank Turek. If you haven't already, I encourage our readers to visit Dr. Wood's outstanding YouTube page here. 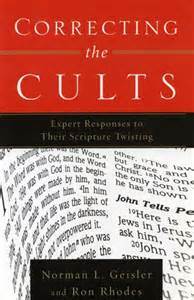 Here is an excellent resource from the Institute of Religious Research by cult expert Robert M. Bowman, Jr. that will help you better understand the Book of Mormon. Part 1- What is the Book of Mormon? To learn more about the Institute of Religious Research, go here. In this featured video, Pastor Jeff Durbin of Apologia Church in Tempe, AZ offers what may be the clearest introduction to pre-suppositional apologetics I have heard. To learn more about Durbin and Apologia Church, go here. You can find Pastor Durbin on YouTube here. Debate Audio: Dr. Gordon Stein vs. Dr. Greg Bahnsen- Does God Exist? So I got home from my local bible study last night and my head is buzzing. Here's the deal: At the beginning of the notes prepared by the “facilitator” it states that the only authority we are going to follow is God’s word. All notes contained in the outline are from Calvin, Henry, Piper, MacArthur and other reformed theologians/pastors. During the study there is open discussion but all comments are to be supported by God’s word. Everyone is welcome because there is no specific doctrinal mandate to follow a certain belief. In God’s creation, William and Richard are each going to hold up a finger to indicate their choice about God. Open Theism (Arminianism): God has no idea what each will choose. William freely chooses to give God the thumbs up and Richard freely chooses to give God “the finger”. God doesn’t know what will happen next. 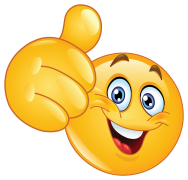 Fatalism (Calvinism): God has determined before the foundation of the world that William, predestined and elect by God’s unconditional grace, will give God the thumbs up. After being regenerated by the Holy Spirit and receiving saving faith from God, William gives God the thumbs up. Richard, without election or grace, in his depraved state gives God “the finger”. God has also determined and knows what will happen next. Molinism: Both William and Richard have free will to make a choice about God and can give either a thumbs up or “the finger”. God foreknows there are possible worlds in which both give the thumbs up, there are possible worlds in which only one gives a thumbs up and there are possible worlds where both give “the finger”. God desires that both would give the thumbs up. God foreknows there are some worlds in which William freely gives the thumbs up and other worlds in which he freely gives “the finger”. God foreknows there is no feasible world in which Richard ever freely gives a thumbs up. God creates the actual world. William freely gives God the thumbs up. Richard freely gives God “the finger”. God foreknows what will happen next. So what do you think of the analogy? Is it a good representation of the doctrinal views? Read the book, don’t wait for the movie. I recall when I learned that my father had been diagnosed with dementia. The news was not immediately devastating because I wasn’t convinced his diagnosis was correct. At the time, my father lived 4 hours away and was on his own. I was persuaded that once we moved him closer to us and were able to manage his medication, diet and medical appointments that he would be fine. I told myself that the symptoms he was experiencing were just due to old age and stress. My brother and I were able to move him into an apartment that was only 5 minutes from my home. We were able to manage his medication, diet and medical appointments just as I had hoped; however, as I cared for my Dad, evidence began to accumulate that confirmed his diagnosis. Dad began to have conversations with himself in the mirror because he didn’t recognize his own reflection. He was convinced it was someone looking at him through a window. 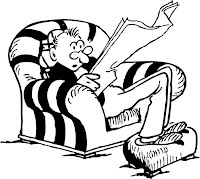 He no longer could keep track of time and lost his ability to read. Finally, he no longer remembered my name or knew who I was. I could no longer hide behind the possibility that Dad was just getting old or suffering from extreme stress. Although the thought of my dad’s life ending this way was personally repugnant, I had to face the facts- my Dad had severe dementia. The story of how I came to accept my Dad’s diagnosis of dementia illustrates just how difficult it can be to evaluate evidence and draw a sound conclusion when strong emotions are involved. Sometimes we reject a conclusion not because it is unsupported by evidence, but because we find it personally distasteful. By 1922, Russian mathematician Alexander Friedmann uncovered Einsteins “blunder” as a mistake in algebra and astronomer Willem de Sitter found that General Relativity required the universe to be expanding. Einstein’s theory of General Relativity has now been proven accurate to five decimals places and demands an absolute beginning for time, space, and matter. It proves that time, space, and matter are co-relative. They are co-dependent. You can't have one without the others. Imagine with me for a moment that you could watch a video recording of the history of the universe in reverse. You would see all matter in the universe collapse back to a point that is mathematically and logically nothing.11 This is known as the singularity. In other words, there was nothing and then the entire universe exploded into being. “As you trace the expansion of the universe back in time, everything gets closer and closer together. Eventually the distance between any two points in space becomes zero. You can’t get any closer than that! So at that point you’ve reached the boundary of space and time. Space and time cannot be extended any further back than that. It is literally the beginning of space and time. Penzias and Wilson would go on to win a Nobel Prize for their discovery. The Second Law of Thermodynamics requires a beginning of the universe. My Father went home to be with the Lord 3 years ago. I still remember finding out that he had been diagnosed with dementia. I initially rejected the idea and although the implications were incomprehensible to me, the evidence continued to accumulate and I could no longer ignore the obvious. The more I suppressed the truth regarding his condition, the sillier I most likely looked to friends and family. Ultimately, I had to follow the evidence to its logical conclusion. The evidence is clear. The universe began to exist. To suggest otherwise is to contradict the evidence. That doesn't seem very reasonable to me. 1. William Lane Craig, On Guard, p. 87. 2. J.M. Wersinger, "Genesis: The Origin of the Universe," National Forum (Winter 1996), 11, 9, 12 as quoted by Dr. William Lane Craig in On Guard, p. 91. 3. Norman L. Geisler and Frank Turek, I Don’t Have Enough Faith to be an Atheist, p. 73. 5. Robert Jastrow, God and the Astronomers, p. 112-113. 7. For the purposes of this post I will be focusing on the scientific evidence that the universe had a beginning. However, there are excellent philosophical reasons for believing that the universe had a beginning as well: 1) An actually infinite number of things cannot exist 2) You can't pass through an infinite number of elements one at a time. For more on these arguments, see here. 8. J. Warner Wallace, God's Crime Scene, p. 32. 9. Geisler and Turek, p. 74. 11. Geisler and Turek, p. 79. 12. For those who would question William Lane Craig's credibility in matters of cosmology, I would encourage them to consider his publications on the topic here. His published work on cosmological issues has appeared in a wide range of scientific and philosophical journals including Astrophysics and Space Science, Nature, The British Journal for the Philosophy of Science, The Journal of Philosophy, and International Studies in the Philosophy of Science. 13. William Lane Craig, "The Kalam Cosmological Argument," 2015. Numerous comments by physicists and scientists confirm Craig's contention. Atheist physicist Victor Stenger writes that "the universe exploded out of nothingness" (V.J. Stenger, "The Face of Chaos," Free Inquiry 13 (Winter 1992-1993): 13. Arno Penzias, who won the Nobel Prize for discovering the microwave background, said: "Astronomy leads us to a unique event, a universe which was created out of nothing, one with the very delicate balance needed to provide exactly the right conditions required to permit life, and one which has an underlying (one might say ‘supernatural’) plan.” (Margenau, H and R.A. Varghese, ed. 1992. Cosmos, Bios, and Theos. La Salle, IL, Open Court, p. 83.) Prominent physicists John Barrow and Frank Tipler conclude "At this singularity, space and time came into existence; literally nothing existed before the singularity, so, if the Universe originated in such a singularity, we would truly have a creation ex nihilo" (John Barrow and Frank Tipler, The Anthropic Cosmological Principle (Oxford: Oxford University Press, 1986), p. 442. To see more quotes such as this, see here. 14. Geisler and Turek, p. 81. 15. Interestingly, it was Arthur Eddington who said, “…if your theory is found to be against the Second Law of Thermodynamics I can give you no hope; there is nothing for it but to collapse in deepest humiliation.” (Quoted in Paul Davies, The Cosmic Blueprint (New York: Simon &Shuster, 1988), 20. 20. Paolo Saraceno, Beyond the Stars: Our Origins and the Search for Life in the Universe (Singapore: World Scientific, 2012), 26 as quoted by J. Warner Wallace, God’s Crime Scene, p. 37. 22. Alexander Vilenkin, Many Worlds in One (New York: Hill and Wang, 2006), 176.91-92. 24. Arthur Eddington, The Expanding Universe (New York: Macmillan, 1933), 178. 25 “A Scientist Caught Between Two Faiths: Interview with Robert Jastrow,” Christianity Today, August 6, 1982. 27. As astrophysicist Andrew Liddle and astronomer Jon Loveday affirmed, "The standard cosmological model is a striking success, as a phenomenological description of the cosmological data...the model's success in explaining high-precision observations has led a clear majority of the cosmological community to accept it as a good account of how the Universe works" (Oxford Companion to Cosmology [Oxford: Oxford University Press, 2009], 8). 28. See here. 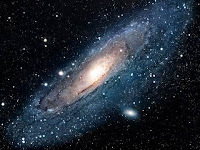 For more detailed refutations of Krauss's work I recommend Peter S. Williams's article "A Universe from Someone: Against Lawrence Krauss" located here and here is a nice collection of podcasts by Dr William Lane Craig responding to Krauss's book A Universe from Nothing. 29. To see a response to this view, see here. 30. As quoted by Mike Licona here. 31. William Lane Craig and Quentin Smith, Theism, Atheism and the Big Bang Cosmology (Oxford: Clarendon Press, 1993), 135. The post can be read in its entirety here. Did you notice visitors in your church on Sunday? Did you take an opportunity to greet them? Do they live nearby or are they just visiting? Are they new to the area? Did you offer for them to sit with you? Did they need assistance with anything? Are they committed Christians, new to the faith or exploring what this Christianity thing is all about? Did you fail to take time to notice any visitors? When the service paused for the “meet and greet”, did you only seek out friends and acquaintances or did you look for some less familiar faces? Did you say anything more than “good morning” or “welcome” to those you greeted? Do you know of anyone in your church in any kind of need - material or otherwise? Is the only evidence of a visitor a card dropped in an offering plate? I’ve been visiting a lot of churches, searching for a place of fellowship and belonging to build friendships and grow in discipleship. You would think this shouldn’t be a very difficult task. It has proven to be a very long and lonely experience. Such things should not be so. Despite the difficulty, my search will continue. The last edition is here. One Minute Apologist- Was There a World Wide Flood? In this video, Jason Jimenez of Stand Strong Ministries gives his reasons as to why he believes the account of The Flood in Genesis chapters 6-8 was a global flood as opposed to a localized flood. As an elementary school teacher, I can appreciate the importance of being prepared. Everyday before my students arrive at school, I know that there are numerous things that need to be ready in order to be an effective instructor. Most importantly, I need to know the material I am teaching and be ready to present it in a way that my students can understand and apply. When I teach my students anything, the ultimate goal is for them to take ownership of their own learning and be able to execute the skill I am teaching them independently. The same is true for Christian case makers. Our job is not only to present the truth of the Christian faith in a way that is understandable (evangelism), but we also want to instruct in such a way that our listeners will ultimately be able to make the case themselves (discipleship). We want our listeners to know Christ and then be equipped to make Him known to others. Can you relate? I know that I can. And I have talked to numerous other Christians who desire to make the case for Christianity, but believe it is too difficult for them to master. In Forensic Faith, J. Warner Wallace's latest offering, not only will you learn the importance of "making a case for case making," but you will also learn how to prepare yourself and engage with both believers and unbelievers in a winsome and effective manner. If you have wondered where to start on your journey of becoming a Christian case maker, look no further! Forensic Faith is the shortest (203 p.) of Wallace's three major titles.1 This work includes a preface, four chapters, and a postscript. Further, as with the author's other works, he includes "bonus features" such as "rebuttal notes" and an "evidence locker." These tools are especially helpful for the reader who desires to go deeper. The chapter concludes by offering the reader historical examples of Christian case makers such as Jesus Christ, His followers, and the Early Church leaders. Challenge each other to expose our weaknesses. This reviewer was impressed with the vast amount of practical ideas and tools packed into this chapter for the reader wanting concrete starting advice in Christian case making. One example is the "The Forensic Readiness Review." This is a 21 minute "test" of sorts for believers to take and, as Wallace explains, "This...will likely open your eyes to your own competency and to the readiness of the young people in your family." The test includes some of the most common objections to the Christian worldview. This chapter is all about action. The author is acutely aware of the importance of "hitting the streets" and putting what you have learned into practice. Further, the more you practice making the case, the better you'll become at it and the more you will see the necessity of training. In Chapter 3, Wallace offers five points that will help readers examine the claims of Christianity and other truth claims like a good detective. This reader appreciated Wallace's unique take on fundamental Christian disciplines such as Bible reading, note taking, and reading Bible verses in their context. I also appreciated how throughout the book the author peppers in answers to common questions and objections people have about the Christian faith. In Chapter 4, the author draws upon his extensive past experience in court rooms and offers five principles to help readers learn to share what they believe like a good prosecutor. As Wallace points out, it is not only vital that we are prepared to share the case for Christianity, but we also must be wise about who we share with it (our "jury") and how we share it. Like a good attorney, how we deliver the content is sometimes as important as the content itself. If you are someone who finds yourself tensing up when sharing your Christian convictions, this chapter will prepare you to share your beliefs with competence, clarity, and passion. J. Warner Wallace has done the church a tremendous service with this work. Forensic Faith is easily the most comprehensive guide I have read to date for the believer desiring to become an effective Christian case maker. Not only does Wallace place numerous practical Christian case making tools into the hands of readers, but he also models how to use those tools through clear illustrations, sharp drawings, and engaging "true crime" stories. Moreover, Wallace suggests numerous feasible ways Christians can use these tools and put what they have learned into action. Regardless of your comfort level with theology and apologetics, the author has suggestions that can be exercised promptly. Finally, Wallace defies the common canard that Christians are afraid of opposing views. Throughout this work, the author encourages believes to read and become familiar with the best arguments of atheism and other opposing worldviews. He further understands the importance of making sure that our students are familiar with these arguments as well. It is his contention that we must inoculate our students rather than isolate them. 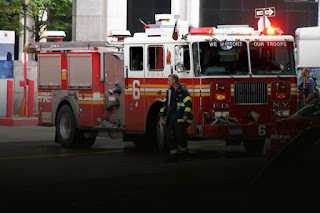 That is to say, we must slowly expose them to doses of arguments from nonbelievers like Bart Ehrman, Peter Boghossian and Victor Stenger so that they are able to adequately address them with evidential confidence. Let's be honest. The third film in a trilogy is many times a dud. It rarely meets our expectations. This reader is happy to report that Forensic Faith by J. Warner Wallace's ends his trilogy of Christian case making books on a very high note. Wallace successfully demonstrates why now, more than ever, it is of first importance that Christians are prepared to "make a defense to everyone who asks you to give an account for the hope that is in you, yet with gentleness and reverence;" (1 Peter 3:15b). As Wallace writes, "It's time to put up or shut up." It is time to stop making excuses and engage the culture with the truth of the gospel. The time for excuses is over. Detective Wallace has made learning how to make the case easier than ever. Forensic Faith is a systematic "how-to" manual of Christian case making. Get your copy, read it, and apply it. Get out there and make the case. Jesus did; therefore, we, His followers, should do likewise. Many thanks to J. Warner Wallace and David C. Cook for the review copy! 1. You can find our review of Jim's first book Cold-Case Christianity here. You can find our review of Jim's second book God's Crime Scene here.